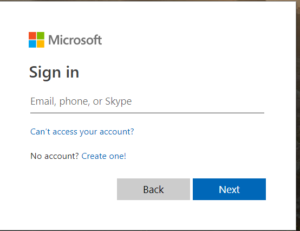 Home Office 365 How to login to your Office 365 Account in any browser? Then enter your password given to you by your provider for your work email. Once logged in, you will see another screen of Microsoft features. These features will vary depending on the features assigned to your account. Press the Outlook button to go directly into your web based email. Congratulations! You have joined millions of organizations who are currently taking advantage of Microsoft’s Office 365 platform. Any questions, do not hesitate to reach out to us. You can submit a trouble ticket by going to the top of our webpage, and clicking SUBMIT A TICKET which will send an email which allows you to describe your issue.